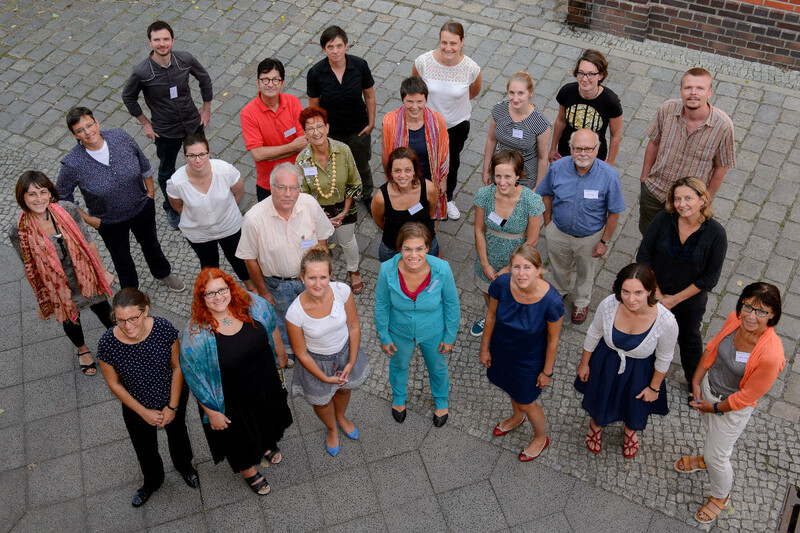 In September 2016 the German Archiv Grünes Gedächtnis, together with the International Ecology Archives Network (IEAN) hosted a workshop on oral history. This network was founded in 2008 in Berlin and since then has met regularly for workshops all over Europe. This year archivists from memory organizations close to Green parties and social movements from France, Belgium, Austria, Italy and Germany as well as historians and social scientists, came together. They wanted to discuss the use of interviews and the possibilities for improving the use of interviews as historical sources. Oral History is an accepted and widely used method in research and education, but it is still controversial. Its nucleus is life stories conducted by historians and archivists. Researchers on social movements and the history of Green parties increasingly use Oral History as a method. Conducting and processing interviews is a challenging task for archives today. In the first session of the workshop ecology archives reported on their practical experiences, in which it became clear that there are many different reasons for interviewing contemporary witnesses. The Frauenarchiv Bozen did a historical research project with more than 80 interviews. The Austrian Grüne Bildungswerkstatt keeps interviews in its holdings, which a journalist conducted, who interviewed the members of the founding generation of the Greens systematically. The French foundation Ecolo on the other hand took the opportunity to interview participants of the summer university in Lille in 2015 in a non directive manner about their experiences in the environmental movements. Other archives, for instance Etopia in Belgium, conduct interviews in order to substitute deficits in their holdings. The German Archiv Grünes Gedächtnis conducts interviews for its historical educational work. Historians presented their experiences in the second session of the workshop. With regard to their doctoral theses they pointed out that interviews had been a relevant source but not the only one. Birgit Metzger presented her work on forest dieback, Annette Lensing on the biography of August Haußleiter, Christie Miedema on the relationship between the German Greens and the Polish citizens’ movement and Anna Trespeuch-Berthelot on the Situationist International. The participants of the workshop also discussed how these interviews should be kept and made accessible for further use. So far some of the interviews were handed over to archives and are accessible, others are kept on the university or private computers of the historians. The third workshop session started with a presentation of the theoretical foundations of Oral History. Additionally, there was a talk on the perspectives of deepening and expanding the use of interviews. Silke Mende, who published on the German Greens’ founding generation, explained why she did not need interviews for her research topic. The Austrian journalist Michael Kerbler discussed how to evoke and deal with emotions for and in interviews. Cécile Blatrix and Sophie Barrat presented the Centre interdisciplinaires de recherche sur l’écologie, which representes mainly social scientists, who work with interviews. At the end of the workshop the IEAN held its meeting. The members were pleased with the fruitful discussions between archivists and historians and decided to publish the talks to promote Oral History in their field of work. The reader will also give a list of interview holdings, which the archives of the network have in their safekeeping. The reader will be released at the congress of the European Greens in 2017 in Liverpool and the work of the IEAN will be presented there.